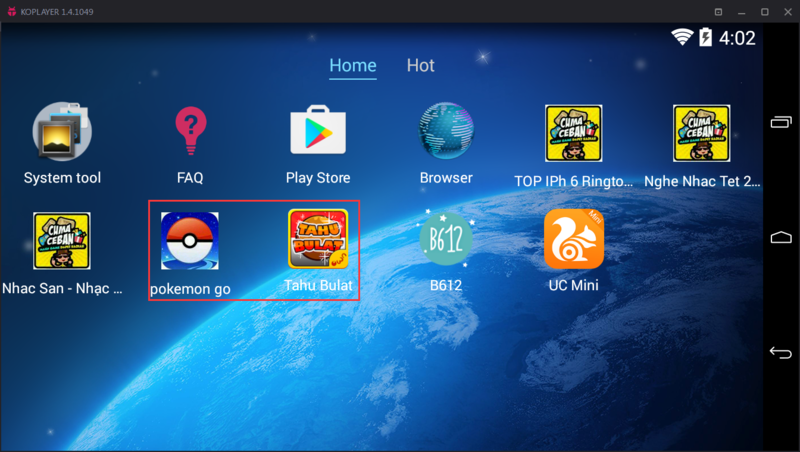 KOPLAYER Forum » KOPLAYER -- Android Emulator on PC (Windows/Mac) » General Discussion » The new version of KOPLAYER is coming soon! The new version of KOPLAYER is coming soon! We are happy to announce that we endeavored to do our best to bring you a new amazing KOPLAYER. 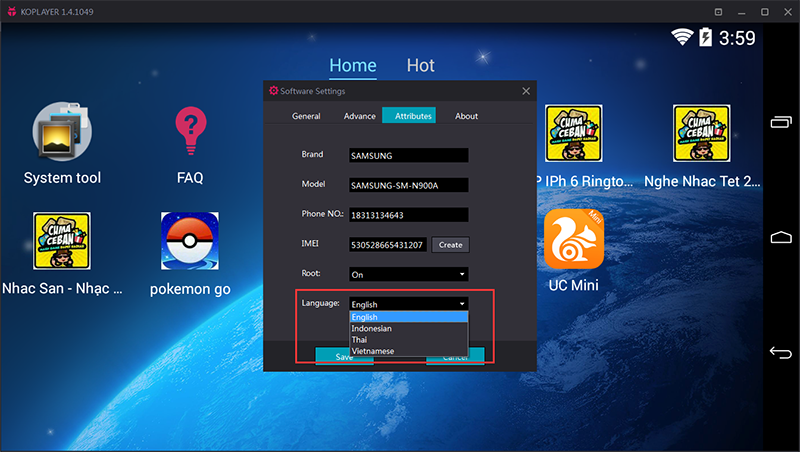 2.Support to keep all installed Apps & data from old version. 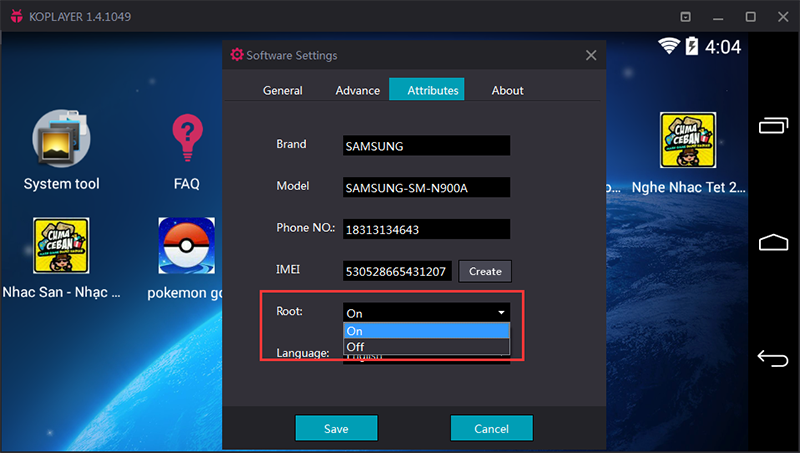 3.Add on-off switch for Root function. You could expect more for our new version. With some great updations in 1049 version, KOPLAYER will help you to enjoy more fun. Please keep your eyes on us! Is the TianTian Support Driver digitally signed with this new version? Hello dear friend, we are glad to inform that TianTian Support Driver is signed. Thank you for your support. I wanted to post a topic regarding my question but it shows error. Thats why I have to ask here. sorry about that. What is the latest version of koplayer that works in xp? Hello dear friend, may i ask did you encounter issue with KOPLAYER? If yes, could you tell us details that we can help you better? For the issue of post, could you give screenshot of error message for us? I installed V1.3.1046 but when I downloaded instagram app through koplayer browser, it said it can't open the file. We are sorry to hear about it. After checking, Instagram is supported with our KOPLAYER. We suggest you try to download and install 1.4.1049 version of KOPLAYER to check and resolve this issue. If it doesn't work, could you share us your CPU, Memory, Graphics card, etc? And please kindly give screenshot of this issue for us. We are looking forward to your feedback. Thank you for your feedback and suggestion. We have reported your suggestion to our team. запрос на регистрацию в Google. я не хочу регистрироваться в гугле мне это ненужно. We feel so sorry that this can't be removed at present. 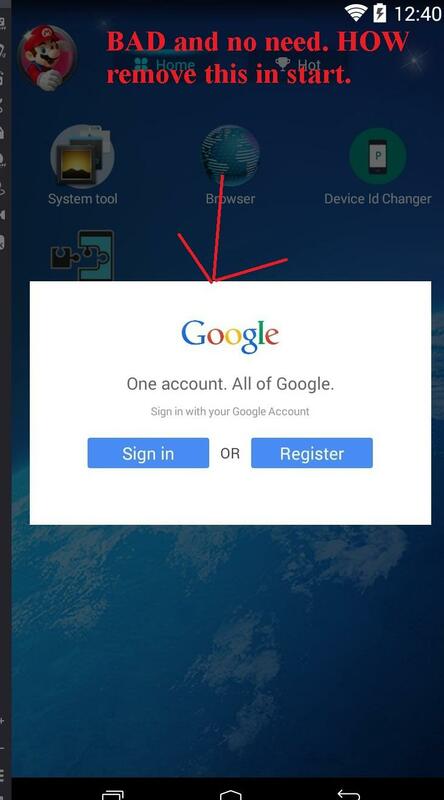 Once you login your google account, it will disappear. This page was generated in 0.866 seconds.